In the morning drive to Agra. On arrival check-in at hotel. 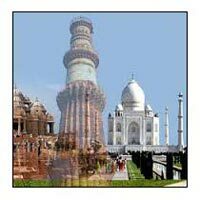 Later enjoy sightseeing visiting the world famous Taj Mahal (closed on Friday), built by the Mughal Emperor Shahjahan for his Queen Mumtaz Mahal. Enjoy shopping in the city market. Overnight in the hotel. After breakfast visit the Agra Fort great monument of red sandstone on the river Yamuna, and Itmad-ud-Daulah tomb. Later drive back to Delhi.